Enjoy being outdoors but afraid of the sun? What makes our sun so dangerous for us and our skin? 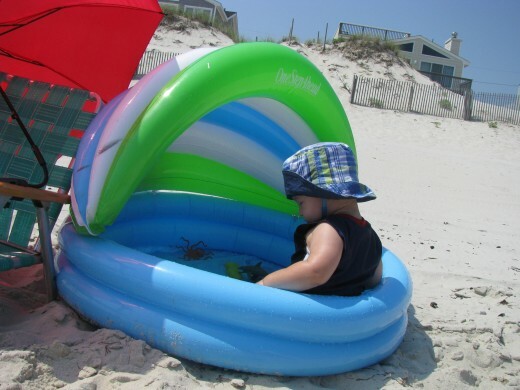 Chances are you already know the basics about sub safety: wearing sunblock and staying in the shade. There's more you can do, however, to keep yourself or your family from the harmful effects of the sun. Learn about the sun's rays and how you can protect yourself and your family from sunburn or skin cancer. Let’s face it: we need the sun to survive. How can it be so dangerous for us, though? The same sun that helps us live and helps plants to grow has harmful rays of ultraviolet light that reach the Earth. There are three kinds of these rays: UVA, UVB, and UVC. UVA rays are the ones that reach us most by passing easily through the ozone layer. These rays cause skin wrinkling and aging. They also help to cause skin cancers such as melanoma, which can be deadly. UVB rays don’t pass through the ozone layer as easily as UVA rays, but they are still harmful to us if we are exposed to them. These rays are responsible for sun burns and cataracts, and tend to be the main cause of melanoma if a person had severe sunburns that occurred before the person was 20 years of age. UVC rays, thankfully, are blocked by the ozone layer. They are the most dangerous to us. 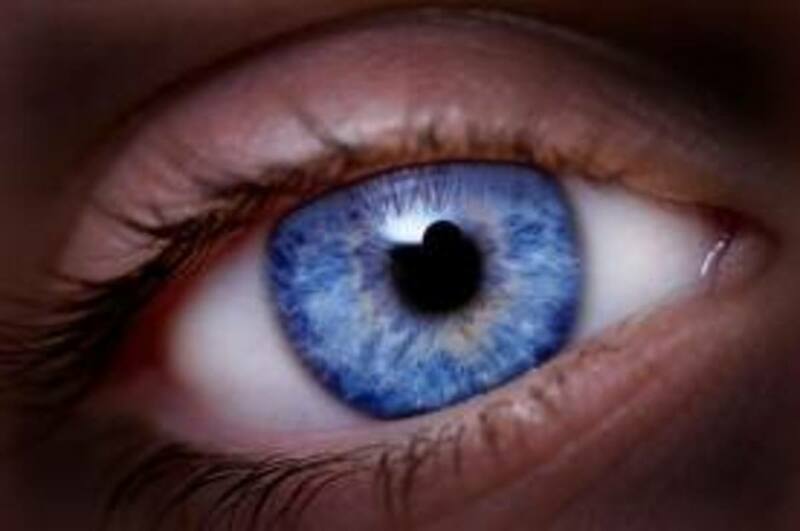 We need to be very careful about these ultraviolet rays. The skin cancer that is caused by them, as mentioned above, can be deadly, affecting nearly 1.2 million people each year. Melanoma, the most common form of skin cancer, kills about one person every hour of every day. You can get sunburn on a cloudy or hazy day, or even when playing in the snow. UV rays can still pass through clouds or bounce off of snow, causing sunburn or skin damage. Yikes! Make sure to use enough sun protection, even on cloudy or snowy days. The suns rays tend to be the strongest between the hours of 10 a.m. and 4 p.m. every day. Unfortunately, that's when many people, especially in the summertime, tend to be outside enjoying the sunshine. When should you be out in the sun? Early morning hours, from sunrise until about 10 a.m. as well as late afternoon hours, from 4 p.m. until sundown, are the safest times to be outdoors in the sunlight if you must. Did you worry about sun exposure as a kid? Yes! My parents made sure we were protected from the sun anytime we were outside. Yes, my parents made sure we had sun protection most of the time. No. The only time I worried was when I had a sunburn. Ouch! Nope. Pass me the baby oil! Our skin has a natural chemical in it, melanin, that helps to block UV rays from the sun. Depending on your skin type and coloring, you may have more or less of melanin in your skin. Fair skinned people have less melanin and need to be the most careful in the sun. Dark skinned people have more melanin, but still need to be careful in the sun. When we are exposed to UV rays, the melanin in our skin reacts and causes us to get some color, or tan. Having a tan, though, does not mean we are protected from more UV rays! Even with a tan, it is important to use proper amounts of sun lotion, sunscreens, or sun block. Freckles, little, flat, brown spots that can appear on the skin, are the body's natural reaction when the skin has very little melanin. Very fair skinned people tend to get more freckles and also tend to get more sunburns. Freckles can increase with more sun exposure. Wear a sun protection lotion with SPF 15 or higher with both UVA and UVB protection. Wear a hat to protect your scalp and face. Stay in the shade if you can, to avoid direct sunlight. Wear dark clothing with tightly knit fabric (fabrics like denim work well) to avoid sunburn. Wear a pair of sunglasses with UV protection to protect your eyes. Avoid going outside between the hours of 10 a.m. to 4 p.m. when the sun's rays can be the most dangerous to us. Wear sun protection when skiing, on the beach, on a patio, or near water as snow, sand, concrete and water can reflect the sun's rays and cause sunburn. Clothes have their own sun factor protection, but it is called UPF, or ultraviolet protection factor. It is calculated by determining how much ultraviolet light goes through the clothing and reaches the skin. For example, denim has a UPF of 1700, meaning that it only lets 1/1700th of sunlight to penetrate through the fabric. Other fabrics, like cotton or lace, have much worse ratings since they allow much more sunlight to get to the skin. Safe for Babies under 6 months? Note: These are my ratings based on my research. Protection ratings depend on brands and how well the protection is applied or used. What level of SPF sun lotion do you use? It has been determined that for the average sized adult wearing a bathing suit, 1 oz. of lotion should be enough protection for all exposed skin. Of course, if you're larger than the average adult, you should use more. Sun Lotion, sunscreen, or sun block should be reapplied every two hours, and after any water activities. Remember: water resistant does not mean water proof! There are many different types of sun lotion, sunscreen, or sun block, but what is recommended for use? Let's start with SPF. SPF stands for Sun Protection Factor. It is a numerical rating from 4-100, depending on the level of protection the sun lotion, sunscreen, or sun block gives the skin from UVB rays.The lowest recommended SPF for anyone is SPF 15. Anything lower might not provide enough protection from harmful UVB rays that can cause sunburn. In recent years, sun lotions, sunscreens, and sun blocks have included UVA protection as well. This rating is not numerical but instead is a star rating. One star is low protection while five stars is high protection. Most sun lotions, sunscreens, and sun blocks however, only mention 'broad spectrum UVA' protection instead of the star rating. In order to find a sun lotion, sunscreen, or sun block that has great protection, it needs to have both the recommended level SPF and a high UVA rating. For example, an SPF 4 lotion with five UVA stars is not as effective as an SPF 15 lotion with three UVA stars. Having the recommended SPF is still necessary since UVB rays still cause damage to our skin even if the UVA rays are blocked. The active ingredients in sun lotions, sunscreen, and sun blocks are all used to either block, reflect, or change the UV rays so that they do not harm the skin and cause skin damage and cancers. Many of the ingredients are chemicals that change the way melanin reacts with the UV rays and have been found to be okay for human use (even though some have been found to cause some problems). There are quite a few ingredients in sun lotions, sunscreens, and sun blocks, but I'm going to focus on just four: PABA, Vitamin A, zinc oxide, and titanium dioxide. You've probably heard about PABA, knowing that now many sun lotions, sun screens, and sun blocks are PABA-free. Why? PABA, or p-Aminobenzoic acid, has been found to cause skin reactions and allergies. It is no longer allowed in sun lotions, sun screens and sun blocks as an active ingredient. Vitamin A, while good for our bodies, can increase the chances of sunburn and skin damage. Often seen in sun lotions as retinol or retinyl palmitate, can actually increase the chances of skin cancers. Also, Vitamin A in large quantities is not good for pregnant women since it may cause birth defects. Zinc oxide and titanium dioxide are two mineral ingredients that are added to sun lotions, sunscreen and sun block because they are physical blockers, meaning that they actually block the sun's UVA rays from reaching the skin. They can be used by themselves (remember the lifeguards with white cream covered noses? ), mostly on the nose and ears. Since they tend to be thick in application on their own, however, these ingredients are made into smaller particles to blend in with the rest of the sun lotion, sunscreen or sunblock. Zinc oxide, of the two, gives the best UVA protection. Both, even though they are great in providing protection, may want to be avoided in large amounts since they may interfere with the body's hormones. Sunscreen and sun block has historically been made as a lotion, but in recent years, both have been made into a spray as well. The argument is that the spray is easier to spread on (think about your back and other hard to reach areas). Is spray as effective as lotion? It can be, if used correctly. Just like lotion, it should be applied 15-30 minutes before sun exposure and should be reapplied every two hours. Guess what? 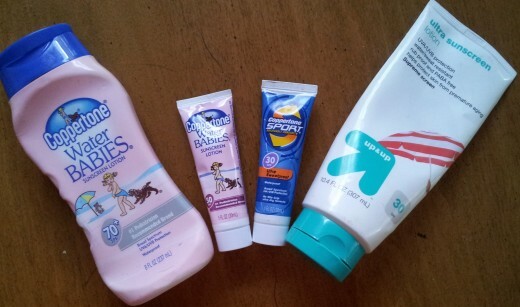 Generic sun lotion, sunscreen, and sun block can be just as effective if not more effective than brand name sun lotion, sunscreen, and sun block. The only difference is the price. For some brand name items, cost can be as much as $30 for the same protection that a $10 generic brand gives. Crazy, right? If you do not want to spend a lot, find a generic brand that has all the necessary ratings and ingredients. This sunscreen does not contain any of the chemicals found in other kids' lotions. It contains zinc oxide as its main ingredient and smells great! Vitamin D, which aids the body's absorption of calcium, can be absorbed naturally from sunlight. Sun lotion, sunscreen, and sun block can and often do block it from reaching the skin however. To make sure you get enough Vitamin D, you can be in the sun for 15 minutes without sunscreen, eat foods rich in Vitamin D (fortified milk, fish, eggs, etc. ), or take a Vitamin D supplement. If the sunburn is so severe that there are many blisters and you or your child have a fever and chills, seek medical attention. It may be an indication of sun poisoning, which can be dangerous due to the accompanying factors of dehydration and infection if not treated. We can't avoid the sun, but there are things you can do to avoid skin damage and skin cancers from the sun's harmful UV rays. Using sun lotion, wearing dark clothes, wearing a hat and sunglasses , and staying in the shade are just some of the ways to avoid getting a sunburn. 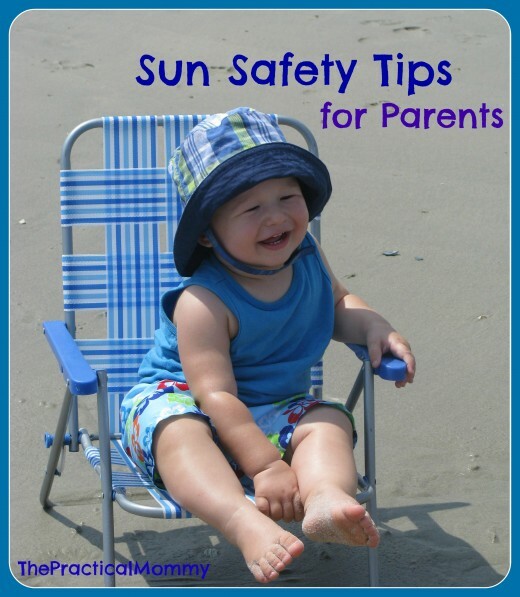 Follow these tips to make sure you stay safe while having fun in the sun! BOGOBabies, I have seen those kinds of tents, but have never used one myself. They seem like a great piece of gear for parents of babies to have! Great info. Have you ever looked into the tents for infants? They have UV protection and can shade little ones from the sun. They seem to work well for family trips to the beach or the park. This is the definitive work on the subject. Thanks for the effort that went into this hub. I'm glad you found the hub easy to understand. Thank you very much for reading and commenting! Very informative hub! I have 4 blondes and a red head. We obviously are a fair bunch! Great explanations that were very easy to understand and follow. Voted up! Austinstar, thank you very much! Nice hub! Very well presented. This will probably be one of your most viewed hubs. Cow Flipper, yep: evergreen! ;) Thanks for reading! 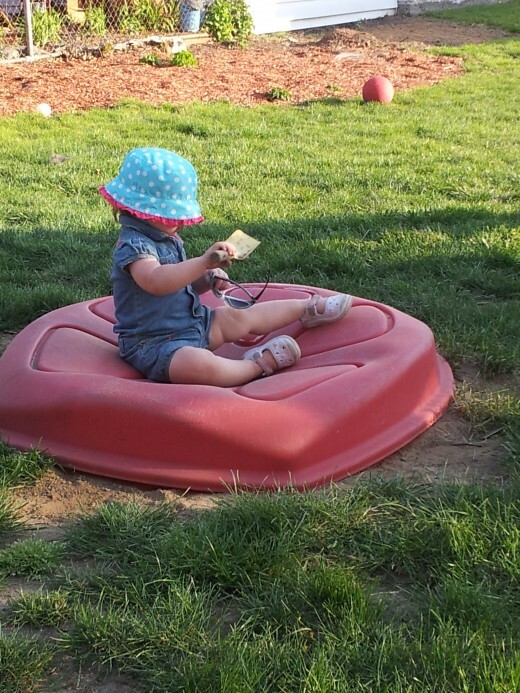 This is a very useful hub, packed with helpful information, ThePracticalMommy! Thank you for sharing all the facts about being safe in the sun - they are very important. theraggededge, I agree that we shouldn't fear sunshine and that we aren't getting enough Vitamin D from the sun due to our protective measures in the Northern Hemisphere. That's sad about the child dying from rickets! I hope you saw the note I wrote about Vitamin D in the hub and how there are other ways to get enough of it. I don't think I would take the risk and never put sunscreen on my kids, but there are times, especially in the late afternoon, when they are out in the sun without it on. It only takes 15 minutes in the sun to absorb enough Vitamin D for the body. Be careful! Even though some people don't sunburn, they are still at risk for skin damage, even though it may not appear until later on in life. sofs, thanks for your kind comment! dmop, I agree: many of these items do have potential negatives, but I would rather use them than to end up with cancer! :) Thank you very much for reading and commenting! This is very well done and you have explained all the products well. However, there is increasing evidence to suggest we are not getting enough natural Vit D in the Northern Hemisphere. Lack of Vit D causes all kinds of health problems including cancer. A child recently died in the UK of rickets, and his case is not the only one. His death could have been prevented with a little exposure to the sun now and then. I never put sun protection on my kids, instead I make them wear baggy t-shirts. They have never had sunburn. Yes, we must take sensible precautions but we mustn't become fearful of sunshine. Useful and informative hub. Well written and packed with useful facts. Thanks for sharing. Great article, I think there are negatives to many if not all of these products, but the protection they provide is greater than the risks associated with those negatives. Voted up and useful. I wish I'd worn UV protection as a kid growing up in Arizona! Now in my 40s, I've got skin discolorations that are from overexposure that took YEARS to show up, and a pinguecula on my eye (also due to sun), and early signs of cataracts. I hope everyone takes your info seriously. Up and shared. What a useful hub! Thanks! Great table in this hub! THanks for sharing! teaches12345, I too wear my UV glasses. :) Thanks for reading and commenting! Good tips for those who love to venture out in to the sun this summer. I try to wear my UV glasses out each time I walk outside. Thanks for sharing.